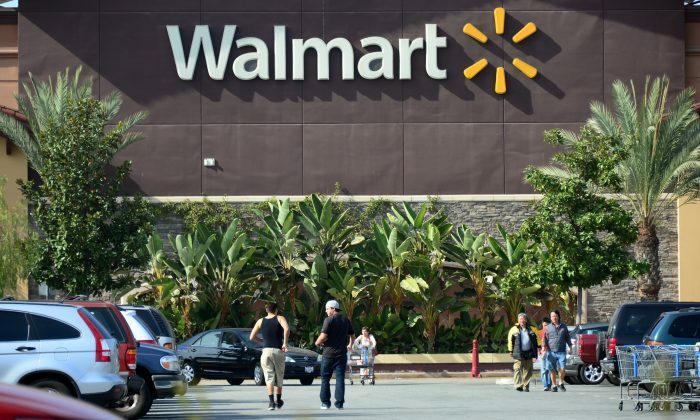 Police near St. Louis says that for a second time, a razor blade was discovered hidden inside the handle of a shopping cart at a Walmart store. The Associated Press reported that the blade was found stuck at the bottom side of the handle at a Walmart in Festus, Missouri, over the weekend. A week before that, a woman was cut on her hand by the blade in another, similar incident. Surveillance video is currently being reviewed in the two cases, AP reported. Walmart issued a statement on the first incident. “It’s disturbing that someone might try to injure a customer or associate, and we’re grateful no one was seriously hurt. We’ve checked all shopping carts and are currently conducting regular checks. We’ve also reviewed surveillance footage and will continue working with police to find the person responsible,” the statement reads. Festus Police say that they don’t believe the blade was placed there to hurt anyone, but a that shoplifter was using the concealed blade to cut off tags on packages. On July 2, Michelle Patterson told Fox2 in St. Louis that she was cut by the blade as she sanitized the handlebar with a wipe. She wasn’t seriously hurt.